Following the enormous success of?Dads Army?and?’Allo ‘Allo?we are thrilled to present the stage version of the most celebrated sit-com of all time. The snobbish, manic Basil, his over coiffeured domineering wife Sybil, the hopeless waiter Manuel, and the calm capable Polly ? and of course the steady stream of abused guests. They are all here to entertain you in the best-loved BAD hotel in the world. This promises to be a sell-out so book your tickets early to avoid disappointment. 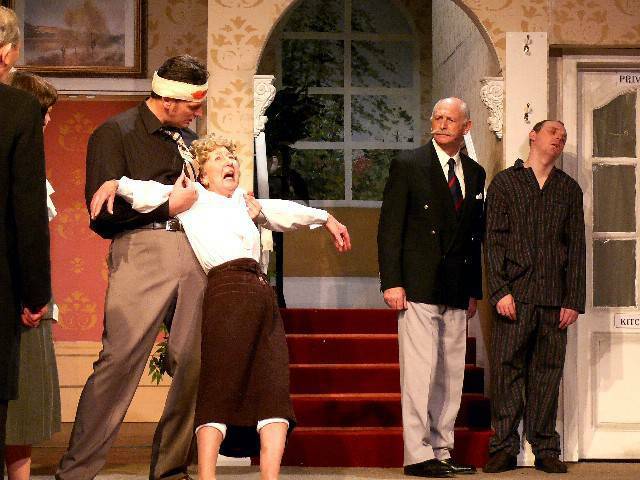 I once met a real life Basil Fawlty. He ran a caf and I'd gone in there for lunch with my son and his grandparents. 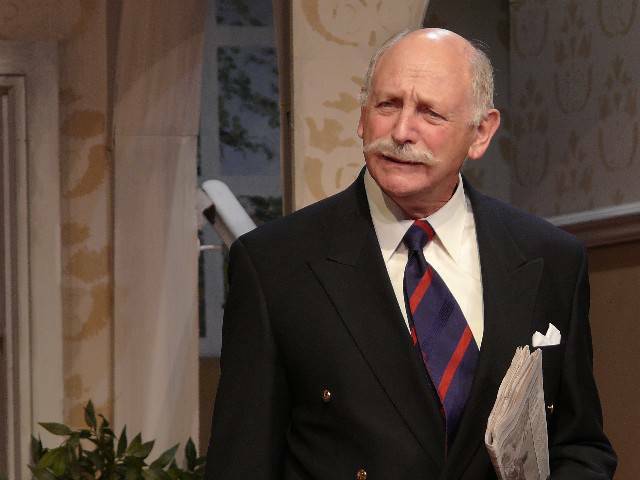 This chap, although he was older than John Cleese when he played the manic, hen pecked hotelier, displayed many of the mannerisms that drove Fawlty's "guests" up the wall and had the TV viewers in hysterics. He was abrupt, he stuck to the caf menu like it had been handed down to him by Moses himself and he buzzed about the place like somebody had strapped an invisible outboard motor to his back. 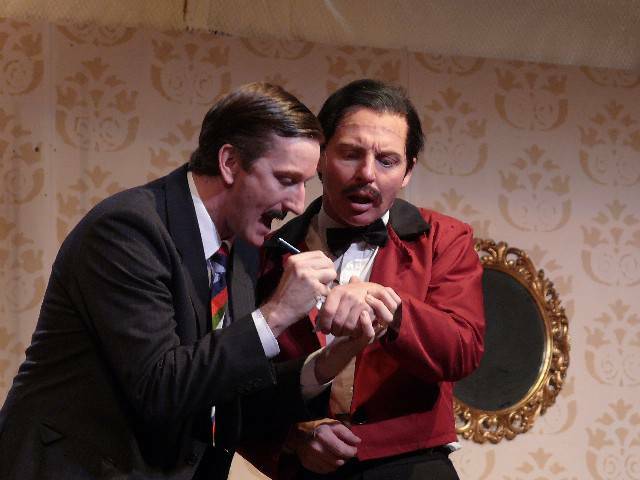 But there's only one Basil Fawlty and Altrincham Garrick is about to bring the host from hell to the stage in the north west premiere of?Fawlty Towers. Or rather, Peter Birch is. 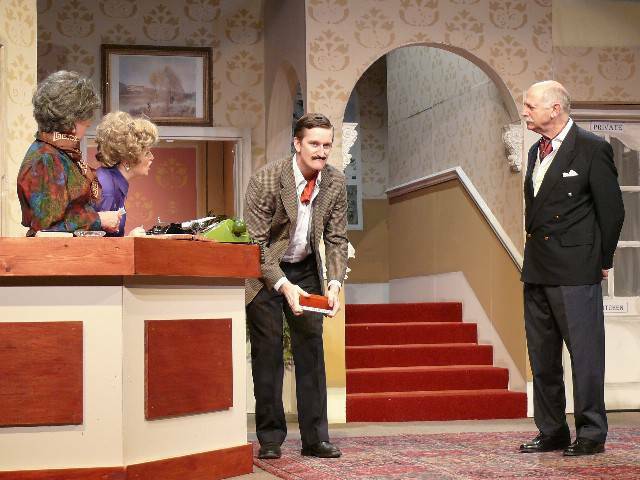 Is it daunting, playing a role that is so closely associated with a comedy colossus like John Cleese? "I quite like a challenge and taking on this role that everyone immediately associates with him and nobody else, is an extra challenge. I suppose I should be over awed by it but perhaps, foolishly, I'm not. The guidance we've had from Angie, the director, is to get as close as we can to what people see on television. At the end of the day I'm trying to do enough for people to say, oh, he's doing a good impression of John Cleese," says Peter, who also wants to bring some of his own interpretation to the iconic comedy role. 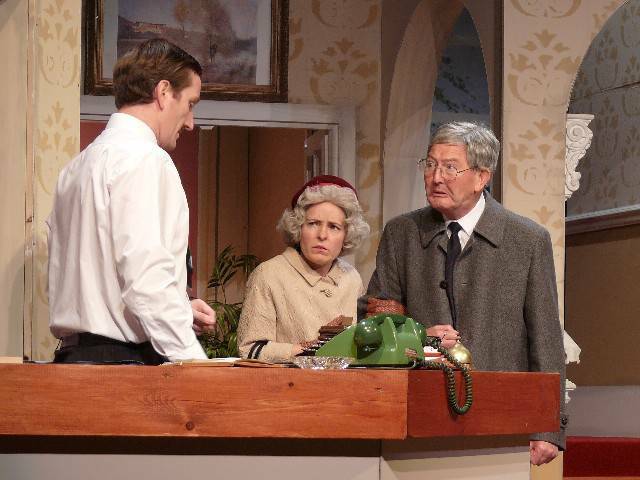 I must admit, I did have reservations about the Garrick recreating episodes from this classic sitcom about the world's worst hotel. Don't get me wrong, I'm a big fan of the originals. In fact, that was part of the problem. I just wondered whether the material would still pack the same punch after being flogged half to death by the Beeb over the years and, of course, without the wonderful physical comedy of John Cleese. 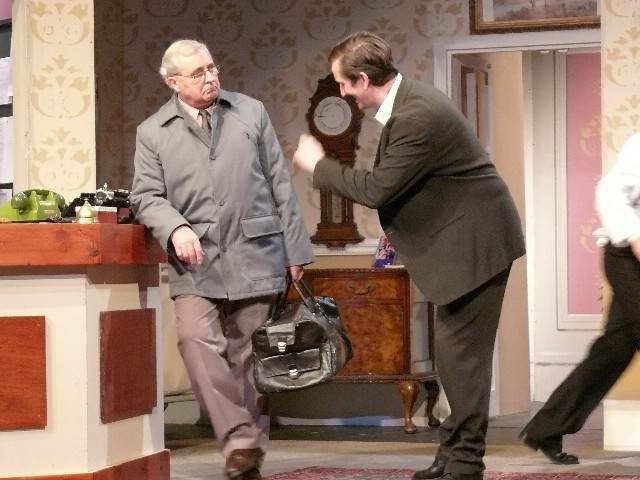 The former Python has become a British comedy treasure thanks to his impeccable timing and larger than life appearance and his are big shoes to fill - literally. But I needn't have worried. Not only did Peter Birch perfectly capture the wildly eccentric Basil Fawlty but the gags still seem as fresh as the first time I heard them. 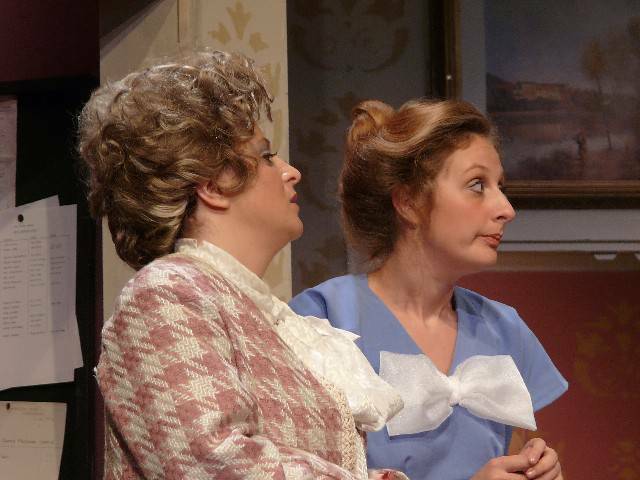 The sheer beauty of?Fawlty Towers?is that it appeals to such a wide audience. 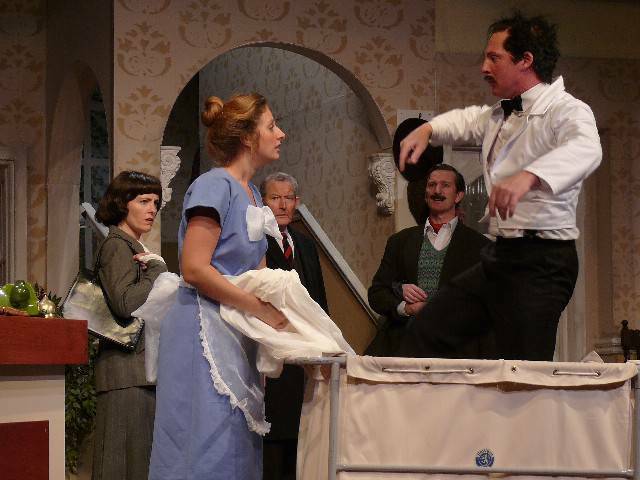 Those of us who are slightly longer in the tooth will appreciate the relationship between Basil and his forever nagging wife Sybil, while the slapstick moments - of which Basil's encounter with a giant moosehead is a classic example - will have the kids in stitches. 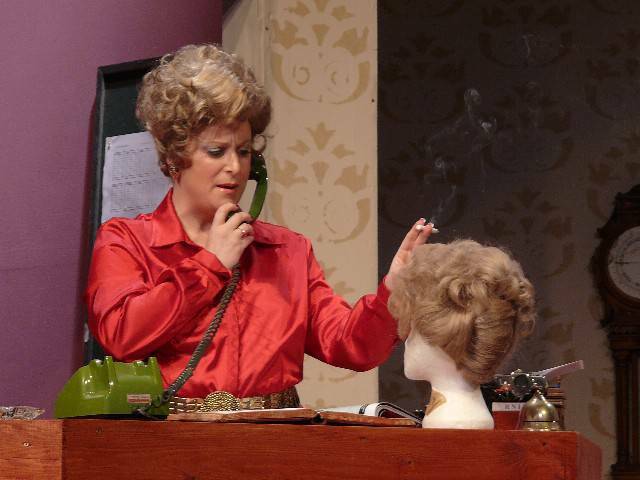 In that sense, the selection of episodes chosen to be recreated on the Garrick stage provides just the right balance. Inevitably there is The Germans, probably now the most famous episode, mainly thanks to a concussed Basil's hapless attempts not to mention the war. 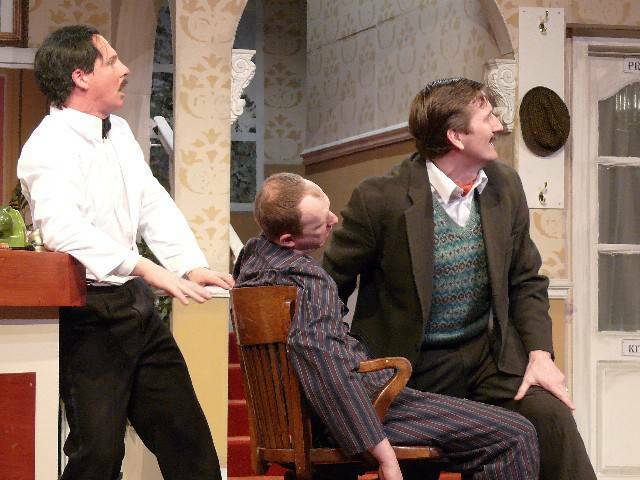 The Kipper and the Corpse has Basil and Manuel attempting to move a dead resident from his room in order to make way for another guest and sees Graham Simmonds in fine form as the incompetent bell boy from Barcelona. 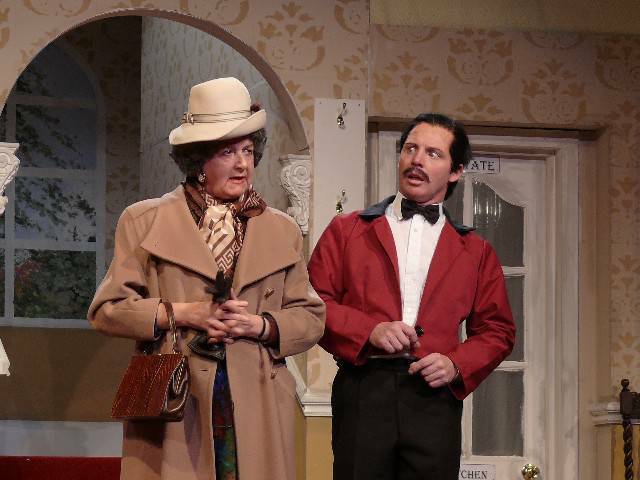 But the highlight has to be Communication Problems, when Basil attempts to deal with the particularly difficult Mrs Richards - who also happens to as deaf as a door-nail - and comes off slightly the worse for wear. The finale is fantastic, as Basil reaches the end of his tether and the sneering Sybil (played superbly by Ruth O'Hara) enjoys every minute. 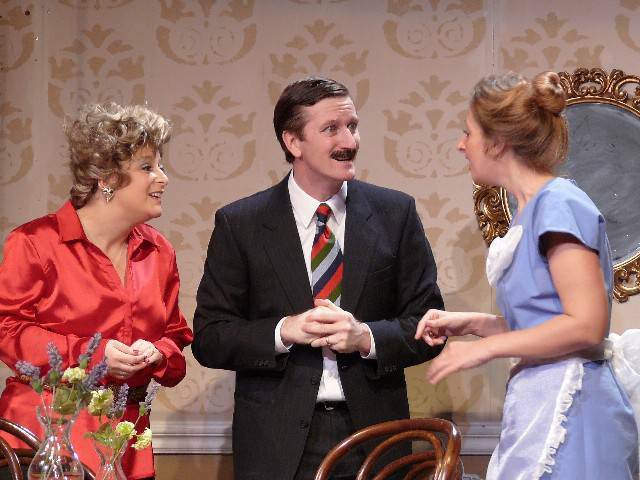 All in all,?Fawlty Towers?offers a night of non-stop entertainment. The jokes come thick and fast and the punchlines are all delivered with plenty of wallop. I would defy anyone to sit through it straight-faced. 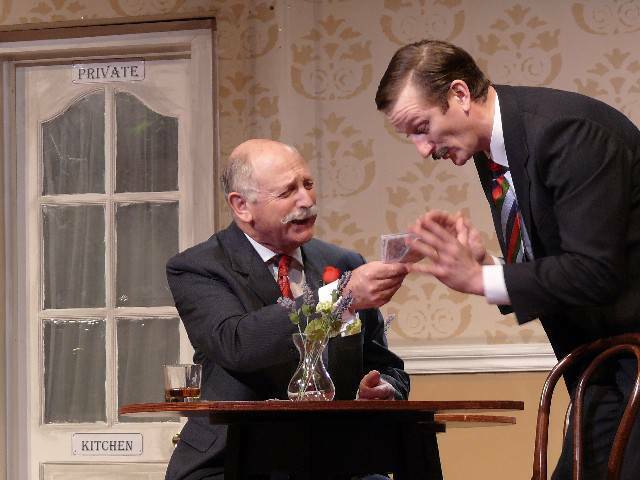 For the second time in three months I have given Altrincham Garrick a five-star rating for an outstanding production. 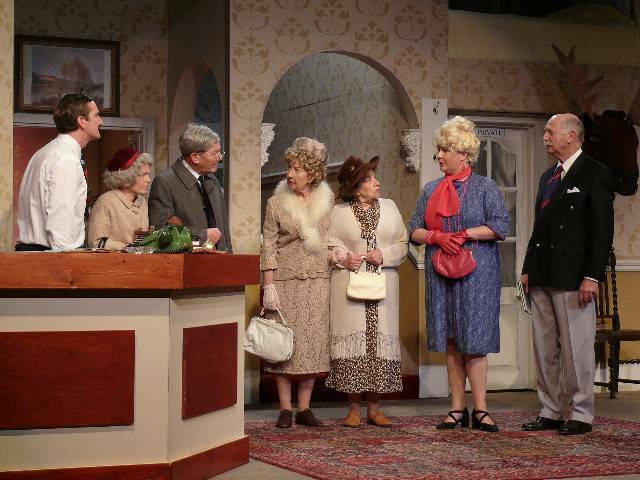 They have the audacity to ape the characters in the classic seventies TV comedy,?Fawlty Towers?- and succeed! This is the fifth time they have presented revamps of well-known television comedy shows. It?s not easy because the audience have the characters set in their heads. This leaves the cast in a catch 22 situation. If their performance is anything like the original, they are compared unfavourably and if it is different, it?s rejected out of hand. 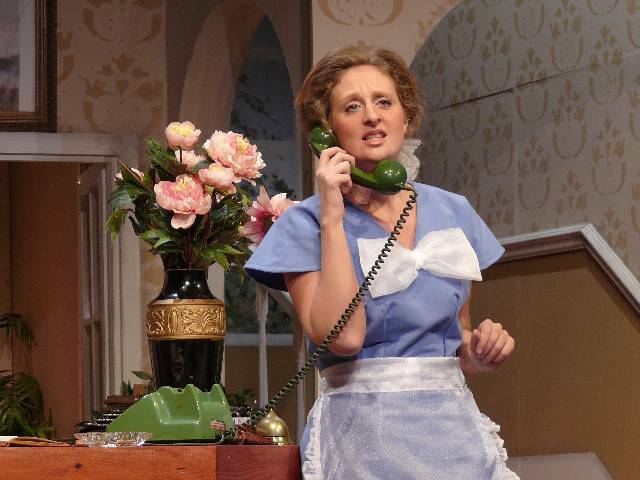 But this?Fawlty Towers?equals the expectations of the most hooked TV addict. 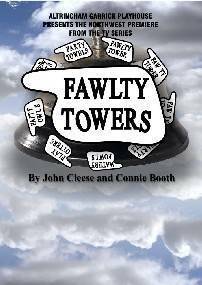 In the 1970s, John Cleese and Connie Booth not only wrote the script, but also played the unforgettable hotel manager, Basil Fawlty and his waitress, Polly. Their performance is a difficult one to live up to but Peter Birch and Juliette Wilson effortlessly overcome the challenge, gently leading you into the chaotic goings on in England?s worst hotel. Peter is a Garrick leading light, better known for writing pantomimes but his irascible Basil will leave his mark on the theatre?s history. 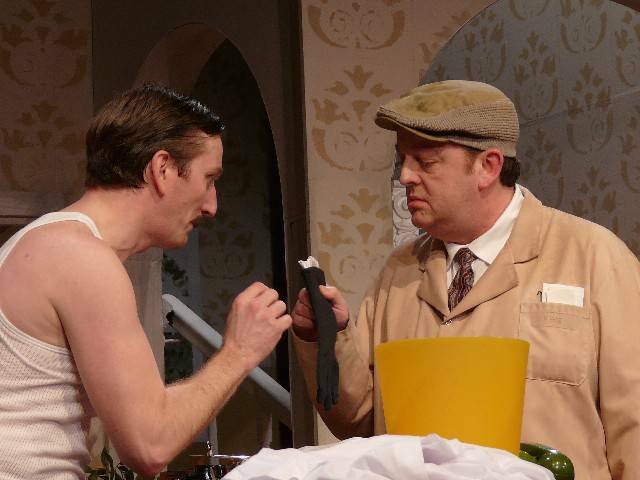 Peter becomes a hysterical bundle of nervous energy when he deals with an overpowering wife, an infuriatingly dim Spanish waiter (played with expressive facial contortions by Graham Simmonds) and a collection of loathsome guests. His only ally is Polly, the put-upon waitress who constantly gets him out of trouble. He certainly doesn?t get any support from Ruth O?Hara?s Sybil Fawlty as she busily staggers around in high heels and an equally high beehive hairstyle. 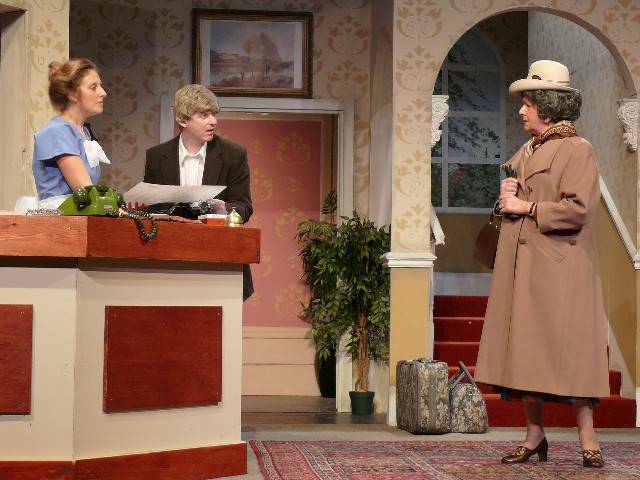 Under Angela Wetherill?s expert direction, the timing and spacing of the characters is perfect. Basil is given plenty of room to goose-step across stage when he is trying hard not to mention the war to his German guests. The back room helpers do well with sound effects and the convincing illusion of a fire complete with smoke. 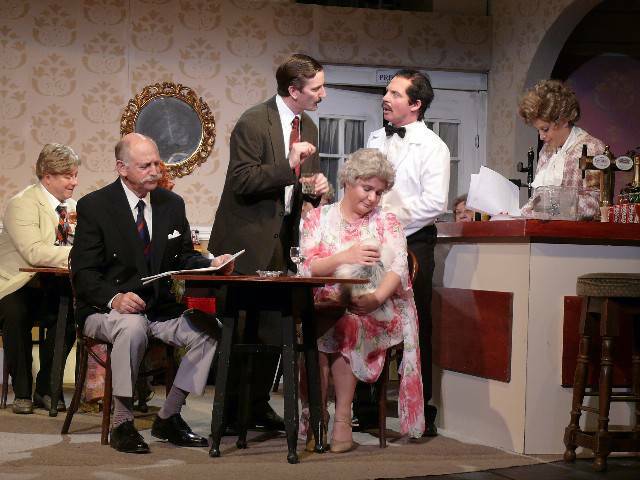 Thanks to thoughtful set design by Barry Fletcher, the cast successfully leave the stage empty whilst chaos ensues in an upstairs bedroom after a guest cannot eat his kipper because he?s snuffed it! This, the final episode, is the best. There is much running up and downstairs and attempts to hide the body. 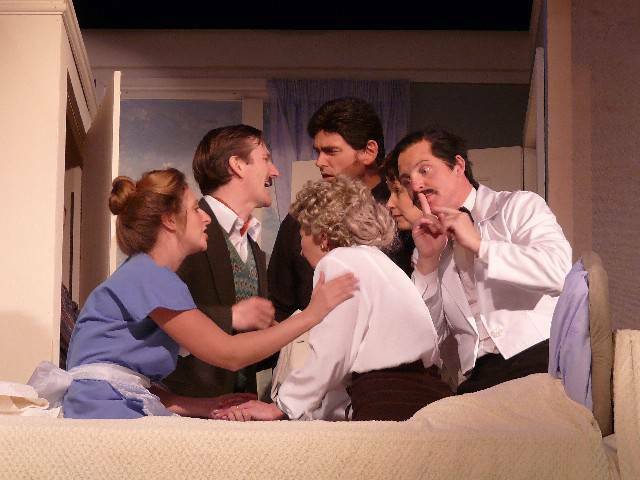 The staff try desperately to keep other guests including my two favourites Geoff Noar as moustached and military Major Gowen and Jane Marsh, as the forthright Mrs Richards, unaware of the crisis. The packed audience are in hysterics!